Mouse Serum is used as a supplement to cell culture media. Mouse Serum provides a broad spectrum of macromolecules, carrier proteins for lipoid substances and trace elements, attachment and spreading factors, low molecular weight nutrients, and hormones and growth factors that promote cell growth and health. Be certain to maintain Good Cell Culture Practice, and maintain sterility of cultures that require media supplementation. Published customer image: . 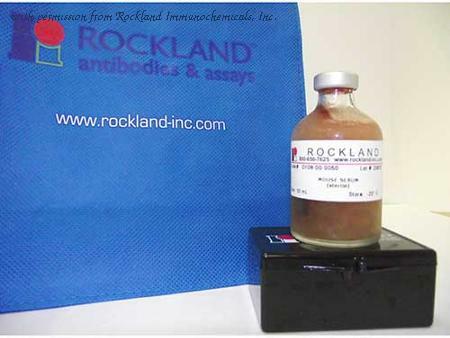 Mouse serum ( C11SA ) used as a component of the wash buffer prior to incubation with anti mouse secondary antibody to reduce any non specific binsing of the anti mouse immunoglobulin during flow cytometric analysis of cell surface primary mouse antibody binding. Image caption: . cells are antigenically heterogeneous in normal and pathological islets. Human islet samples were enzymatically dispersed and antibody labelled for flow cytometric analysis, and cells were isolated by FACS with the sorting scheme illustrated in . (a,b) Representative examples of CD9 versus ST8SIA1 expression on the purified cell populations from two healthy islet donors. (c–j) CD9 versus ST8SIA1 expression on cells from eight islet samples collected from T2D patients. 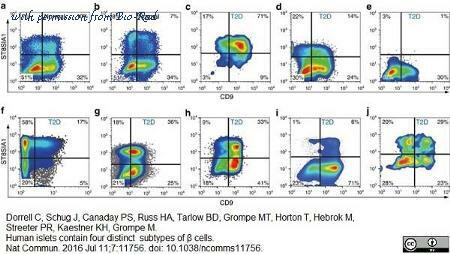 (k) Mean cell subtype distribution ( s.d.) from 17 normal islet preps. Significant frequency variance (P 1 × 10 −24 , single factor analysis of variance) was observed between these populations and 1 is significantly more frequent (P=8 × 10 −4 , 1.2 × 10 −12 , 5 × 10 −13 by t-test (unequal variance)) than any of the others and 2 was significantly more frequent than 3 or 4 (1 × 10 −8 , 2 × 10 −9 by t-test (unequal variance)) as indicated with asterisks. (l) The mean percentage ( s.d.) of ST8SIA1+ cells is abnormally high (P=0.028, t-test (unequal variance)) in T2D islets (n=8) compared with normal islets (n=17). From: Dorrell C, Schug J, Canaday PS, Russ HA, Tarlow BD, Grompe MT, Horton T, Hebrok M, Streeter PR, Kaestner KH, Grompe M. Human islets contain four distinct subtypes of cells. Nat Commun. 2016 Jul 11;7:11756 .